Sudan’s President Omar Al-Bashir has arrived in Sudan within the last hour having flown out of South Africa from Waterkloof Airbase, despite an outstanding warrant of arrest issued by ICC and a court order to bar his departure from South Africa whilst a decision was being made on whether or not to arrest him. President Omar al-Bashir, arrived in South Africa to attend the African Union, (AU) Summit despite the ICC warrant of arrest for genocide, war crimes and crimes against humanity in Darfur. The high Court in South Africa had issued a court order barring Omar Al bashir’s departure from South Africa whilst a decision was being made on whether or not to arrest him today and all ports wre reportedly alerted about this , including the Waterkloof Military Airbase from which he safely departed from. Sudan’s President Omar Al-Bashir has arrived safely in Sudan, whilst South Africa’s high court has now found itself in conflict with the Executive over the government’s failure to observe the court’s orders to ensure that President Omar Al-Bashir did not leave South Africa whilst a decision was being made. It is evident that South Africa’s government may have taken advantage of a technicality in the law to undermine or circumvent the High court order thus affording al-Bashir to escape arrest, by departing from a South African National Defence Force (SANDF) air base. Sudan’s President Omar Al-Bashir, reportedly, flew out from Waterkloof Air force base, on a plane with call sign Sudan 01 at 11:46am. 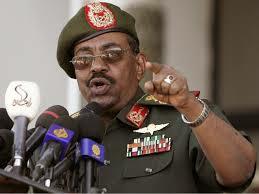 The call sign Sudan 01 is assigned a flight as an indication that the President of Sudan is on board. The Southern African Litigation Centre (SALC) had managed to obtain a court interim order barring his departure from South Africa pending arrest on the ICC warrant of arrest, and because South Africa is a signatory to the Rome Statute , it is duty bound to enforce the warrant. Sibusiso Ngwenya.